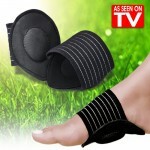 STRONG but SOFT STRUCUTURE to SUPPORT YOUR FEET!!! Insoles Designed according to Ergonomics! These insoles are designed according to the calculations of ground pressure and the sole’s movement when walking. The blue part is for absorbing the shock on your toe joints. In accordance with the foot’s movement when walking, the line in the center of your toenails and your foot’s sole keeps the insole from shifting. Multi-layered structure dispersively absorbs shock from various parts of the foot. 3D design to perfectly fit the arch of your soles. 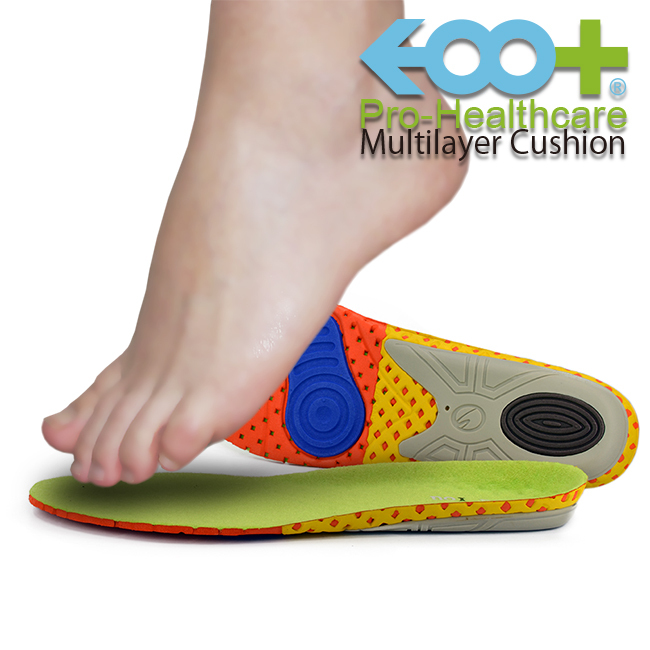 Shock absorption and support for the soles help lighten the burden on your feet and hips. Suitable for use during sports activities such as running, baseball, soccer, etc. ; best suited for long-time walking in leather shoes.